A fandub of the Nintendo 3DS game. 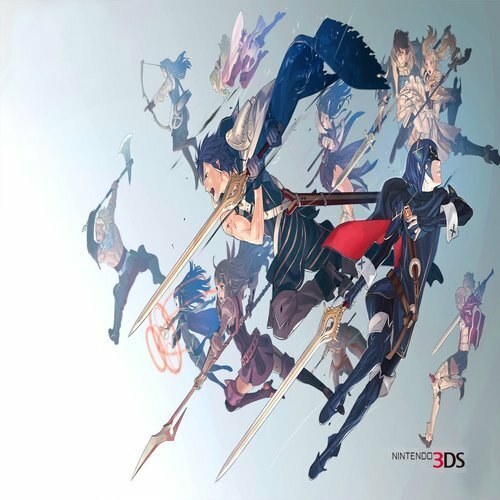 Fire Emblem Awakening. Awakening was the first Fire Emblem game I played, and with newer Fire Emblem games being fully dubbed into English I thought it would be fun to go back and fandub Awakening. Feel free to give impressions based on the English VA's, or use a voice that is completely original! -A fandub series of Fire Emblem Awakening that will be posted on YouTube. -Mid 2018, recording should be done for early 2018. -Actors can requested extra time, but make sure to alert me first! -Dates will be specified when scripts are sent out. If you have any questions or anything, just PM me! Frederick is extremely serious and has a no nonsense personality. 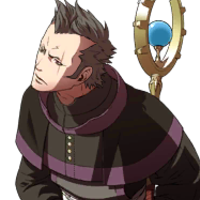 He is a skeptic which has earned him the nickname "Frederick the Wary" from Chrom. 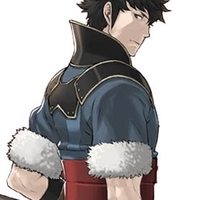 He is very patient, dealing with Lissa's antics and Chrom's reckless behavior to no end, but Frederick cares for Chrom, Lissa, and Emmeryn, feeling the need to protect and serve them at all costs. His services range standard procedures such as preparing their clothes for the next day to comical procedures such as clearing the road ahead of them of rocks and sticks so that they do not trip. Another one of these comical services is when he decides to boost the "morale" of the army by placing naked posters of Chrom in each tent. I have every wish to trust you, stranger, but my station mandates otherwise. I've never encountered anything like these creatures before! Oddly, they seem more human than animal, though... No matter--I will not let you harm my Lord or my Lady. Exalt Emmeryn would never forgive me if something happened to them! Not while I draw breath! 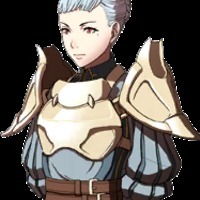 In a manner that is heavily reminiscent of the most masculine of men, Sully possesses a personality that is characterised by a spirited zealousness, brimming with self-confidence and passion - a fact that has caused her to be regarded as being cooler than most men, earning her the admiration of many a woman in Ylisse. Such a fact is concretised in her supports with Miriel, who notes that her language is rather brusque and vulgar, alongside her general character being one that is aggressive, traits that are stereotypically instituted as hallmarks of masculinity. A knight shouldn't just be lucky enough to be born to some damn noble! A knight has duties.... Responsibilities. I want to train until I'm the best damned knight I can be–better than any man! Stahl has a gentle and trusting personality and is one of the few who have common sense. Though he is scatterbrained and acts a bit silly from time to time, he is very attentive, kind to others, and has a big heart. His supports with the Avatar and Maribelle reveal that he is very good at reading people, often knowing what they want before they say it. Yeah, I've always tended to be more or less like everyone else. I do about the average amount of training everyone else does, but...you know. Meh. I wonder if they sell hairbrushes... No, seriously. 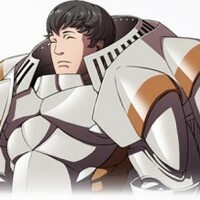 Kellam is a frontline fighter of Chrom's Shepherds and is one of the biggest and tallest units in the army. Despite this, he virtually goes unnoticed. Most of the army considers him a "ghost", as his supports with the Avatar show that the other members wonder why there is always an extra cup or seat lying around when everyone is supposedly accounted for. Well, I just... I'm glad you finally saw me! Just try to keep an eye out from now on? Sumia is a klutzy individual, prone to small mishaps. In fact, her clumsiness is so bad that she trips over nothing more than anyone in the Shepherds, much to her embarassment. Because of this, she feels that she is sometimes unsuited for her job but still does her best whenever she can. Despite her clumsy habits, she holds a hidden strength that most people lack. She has a strong affinity for animals and can read their feelings very well. She used this ability to calm and tame an injured pegasus that was feral to everyone else. Even a horse that Frederick could not tame was quickly quelled by Sumia. 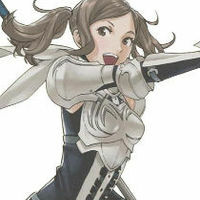 Her best friend is her fellow Pegasus Knight Cordelia, who is always there to help her when she is in trouble, and admires her flawless demeanor. Still she has shown to be courageous, caring, and kind, willing to fight for her people. Oh, Captain, I'm so relieved I made it in time! You can learn a lot about this world from a pegasus's back. I see new things every day. He has a cool personality and tends to keep things to himself. His way of talking is direct and somewhat unwieldy, likely from his lack of social grace or his foreign origins of Chon'sin. He gives orders. I stab people. I think our roles are clear. ...Urgh. What did I just step on? 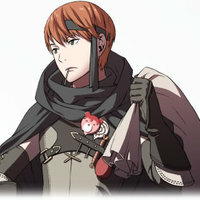 As one of the youngest members of Chrom's army, Ricken is a typical child, yet he hates being treated as such. 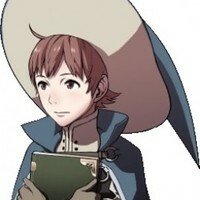 However, Ricken seeks to grow up as quickly as possible, but mostly physically as he's overly sensitive about his height. Despite his young age he is quite studious, able to learn and grow from everyone in the army and soon realizes that he's growing up in his own way. He's worried about his family since his motivations to remain in Chrom's Army is to bring his family back to good stature. 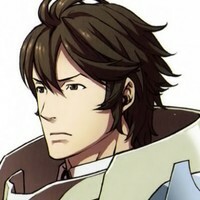 He also looks up to Chrom as his role model and constantly tries to prove his worth. I have this power for better or worse, and I know how to fight. I tried frying some fish with my Fire tome. Modern men should know how to cook! 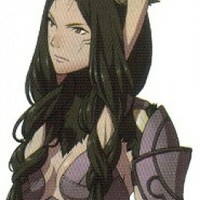 Panne is a cool woman with a strong sense of duty and pride for her people. 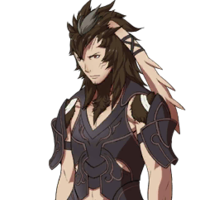 Panne distrusts humans for the genocide of her people, leaving her as the last Taguel. As such she refers to any human who has not earned her respect as "man-spawn". Despite our history, I never hated mankind. The exalt proved your race's worth. Until man-spawn slaughtered my people and put my warren to ruin, that is. It's nice of you to care, but please do not get so excited. Loud noises hurt my ears. Gaius is calm and collected, with a clear mind. However, his seriousness breaks whenever candy and other sweet confections are brought into the question. 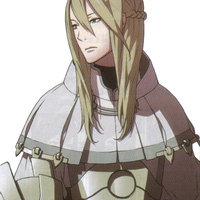 Despite the nature of his job, Gaius has morals and does things with the best interest of others, such as his unwillingness to assassinate Emmeryn because he likes her, or blaming Maribelle's father for his theft incident to protect Maribelle. That's sweet of you to say. And I like sweet. Guess I picked the right lady! He has a friendly and refreshing personality, though he has an unusual accent and speech patterns. Despite his mature appearance, he is surprisingly easy to hurt, getting depressed whenever people harp on him about his age. He speaks in third person with a Russian accent in the English version. Gregor's age blesses him with fighting skills that even impresses Lon'qu. Gregor always do duty for employer. But that not duty. Was bad murder. Gregor could not do. Never. Oy! Why is junk lying around! Libra is a kind man who presents as stoic and patient, almost to the point of being oracular; as a result of this, he puts others at ease and is very trustworthy. However, Libra is also somewhat detached from others and himself, feeling that his being a priest is only a substitution for a real identity, compounded by his odd habits that confuse others. He has a motherly and caring disposition and is protective of those around him. Despite this, Libra has only what Tharja can only describe as a tremendous and insanely powerful darkness within him, one that he is aware of and tries desperately to hide. It would be an honour. May the gods be with us both. 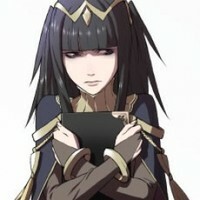 Tharja comes off as a stalker due to her unhealthy obsession with the Avatar, regardless of their gender. She even values the Avatar's life more than her own and usually acts quite amorously around them. She is willing to do whatever it takes to win their affections, even if it means changing her whole personality to suit their taste. I have a bit of a rebellious streak, I'm afraid. A...dark side. Go away. What do you care how I feel? 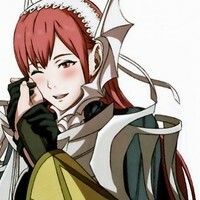 Cherche is a domestic woman raised on simple values who is good at cooking and sewing, in contrast to her vicious wyvern. 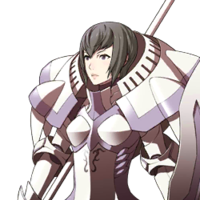 This is because, despite being just a knight at first, Virion's particular fondness of her led to her duties being combined with those of a servant, with the pressure and suspicion of others forcing her to balance both her attitude and skills in the process. Might I join, sire? This may not be my country, but it is my cause. 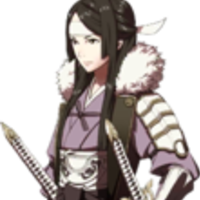 A princess of Chon'sin, Say'ri seems different from the people of Ylisse and has an old fashioned look, which matches her manner of speech. She has a strong personality and always gets to the point. I owe my life to you all, and to my brother...I swear to you and him...I will make the most of it. 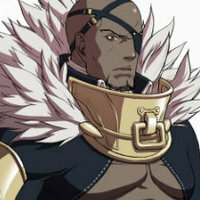 Despite his time as the ruler of Ferox, Basilio often enjoyed leaving the castle for entertainment, as seen in his support conversations with the male Avatar. He is also a heavy drinker, as shown with some pre-battle dialogue and a conversation between him and Walhart where he states that he is the "Walking Cask of Ferox". Don't you put any stock in this destiny hogwash! Let the dead whine about their fate... As long as I draw breath, I choose to keep fighting! That's what life is all about! Aw, I'm the same lug as always, but have YOU gotten prettier overnight? She is a brave, heroic, strong-minded woman, like a reliable big sister. She is a hero of women who yields to no man, but treats her opponents equally no matter who they are. She has a side of her that pays attention to her surroundings and has an attention to detail. For the sake of history and all our fallen comrades... We will bring this empire crashing down! One thing's for certain--we all need a dream. So what's yours? Who wants to get destroyed first? 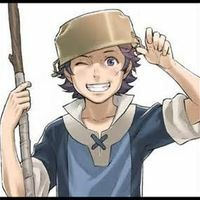 Donnel is a typical village boy "from the sticks" and is unaccustomed to life outside of his village. Though he was hesitant to ever enter battle, Donnel musters enough courage to stand up for himself and eventually join Chrom's army. His speech is vastly different compared to the rest of the army, speaking with a southern-farmer accent, saying phrases such as "git 'r done!". What in tarnation? I ain't seen nothin' like this back on the farm. Contrary to his noble heritage, Brady is portrayed as an individual who initially takes on the appearance of a knavish thug, complete with crude, unpolished mannerisms and a face transfixed in a menacing leer. This is, however, nothing more than a facade that Brady employs in order to mask the true vulnerability of his character, where he is, in a rather antithetical vein, excessively sentimental and emotional, prone to frequent bouts of crying fits; alongside being markedly sensitive, empathetic and finely attuned to the feelings of others. This fact may be gleaned from his supports with his father, where he dismissively establishes an exterior of emotionless apathy towards the notion of being forgotten the moment the Brady of the current timeline is conceived. Upon being informed that he will neither be forgotten nor allowed to disappear from his father's life, this shell of stoic steeliness shatters, causing him to, as is his usual custom, cry as he retracts his words. Aw, come on, Ma! That's harsh! Sure, I'm not the prettiest guy around, but I'm no thug, and I AM your son! ...And it's good to see you. Me? I’m alive and kickin’. You’re the one what’s always out of breath, old-timer! Heh, stand back, world. I'm a whole new man! Kjelle is just as tomboyish as her mother. She has a kind heart and is protective of others, but tends to look down on weakness. She loves sparring, and if she sees someone who has ability, she will challenge him or her regardless of social standing. However, she hates people who look down on her because of her gender, just like her mother. She begins to receive fan mail from Sully's female fans upon reuniting with her mother. 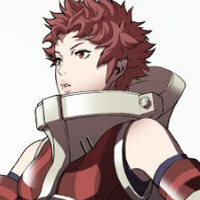 She likes armor more than anyone else in the army, both shown through the Army Roster and her supports with the female Avatar. Huh? I had better pick this up before someone trips in it. Those last ruffians were a handful. I need more training. In the past, Cynthia was very girly and hated violence, but with the death of her mother, Cynthia discarded these aspects in order to learn how to be a hero. Cynthia continues to be a bright and energetic person despite her change in personality. She admires heroes and studies dramatic entrances to become a hero herself. Unfortunately she inherited her mother's clumsiness and her entrances and pursuits to become a hero go differently than she plans. She also enjoys doing flower fortunes like her mother. She has a strong sense of justice though it can often become misguided, but nevertheless, she seeks to do the right thing. She highly admires her mother and father, both of whom she seeks to be like. Ooh, free stuff! I call dibs! Good evening, Father! About time you took a breather! 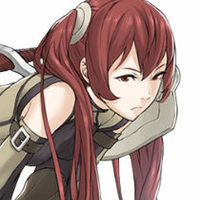 Describing herself as a snarky individual, Severa possesses a barbed tongue that she freely uses to speak in a cold, harsh and condescending manner to the people she interacts with. Despite her rudeness, she is known to have the tendency to mean the opposite of what she says, a fact that is often not detected by those who are already put off by her initial attitude. However, this exterior exists to protect a much more vulnerable side of herself. When she allows herself to be honest, she comes off as genuine. This fact is demonstrated through the supports that she shares with her parents; her supports with Cordelia, for one, see her initially keeping her distance and treating her with cold dislike, only to eventually break down and reveal that she chose to do so due to being afraid of losing her mother a second time. With her father, she becomes upset when she feels that she made her father feel that he had failed her, causing her to cry. You can die quickly if you don't shut up! Now stop wasting your breath. I'm not the sort of floozy to swoon over a cowpile of trite flattery. 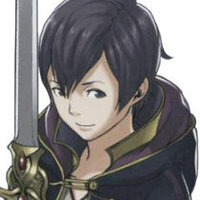 Chrom, we ought to try taking on some foes together. I deserve a strong partner! 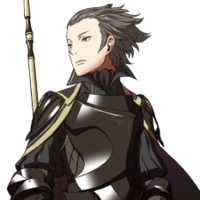 Gerome thinks meddling with the past is not a great idea and that destiny cannot be changed. However, he ends up joining Chrom's army anyways, perhaps still holding onto a sliver of hope that they can avert the apocalyptic future that he lived in. I'm not fit to fight for anyone. I go where no one can find me. I do not wish to create ties to this world. You seem pleased as well, Minerva. Noire tries to seek approval from her mother due to lack of skill with casting hexes. In the future she was used as a guinea pig for her mother's curses, and has developed a cowardly and negative personality. She has something of a split personality that is more brash and aggressive that she refers to as her "inner demon"; it seems to be a result from a talisman, a gift from her mother from the future to deal with her meek and shy personality. You give me courage during battle. Why don't we fight together next time? I AM BLOOD AND THUNDER! I AM A RIGHTEOUS FURY! ...I AM YOUR FUTURE DAUGHTER! Who's there!? Robin...YOU THOUGHT YOU WERE THE ONLY ONE HERE? 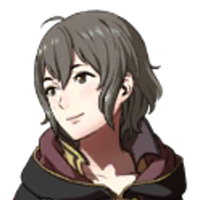 Female Morgan tends to be more exuberant and wacky, and at times is shown to be rather insensitive about the feelings of others, and she appears to have something of a sadistic streak, such as when she decides to accompany Inigo on a night of the town solely because she wants to watch him crash and burn with the ladies, as well as when she pulls on Yarne's ears despite his painful protests. There is one other thing I remember. I've always strived to become a great tactician like you. And even though this war is terrible, at least now I can learn from you firsthand. I bet we could get a lot more money for your gear! Yarne is incredibly cowardly, timid and excessively worried, since his "Last Taguel" status makes him scared that if he dies, the Taguel will become extinct. 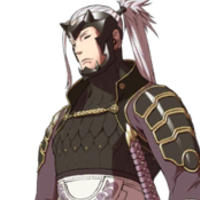 In addition, he constantly fears that if his father cheats on Panne, he'll cease to exist, which he is also afraid of. Yarne also is afraid of anything, ranging from the enemy to insignificant things. He often tries to find a safe place to be in, such as being allied behind strong people or an area with no hazards at all. Like his mother, Panne, Yarne is able to detect friend or foe from a distance, as shown in a support with the female Avatar. I want to do more than just survive... There's something else about being taguel. Something I feel in every hair of my being... It's something I can't quite put into words, but maybe when I can, it will help guide us. I hope you're watching this, Mother! I'm too young to go extinct! Laurent can be a bit cold and callous, much like his mother, as he inherited his mother's incredible academic prowess. 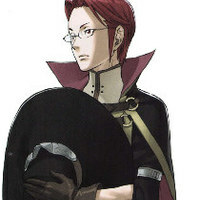 While Miriel's scientific inquiries are focused in theory and discovering natural laws, Laurent tends to find practical applications for the subjects he studies, such as making the world's first fireworks in a support conversation with Miriel. Excellent! Your comprehension spared me the botheration of further explication. My word—a misplaced item? Does no one adequately secure their belongings? Tiki has matured significantly, where she is much more calm and serene, although small glimpses of her childish past emerge (particularly when seeing her beloved, but long-departed, "Mar-Mar" through Lucina and the male Avatar). She aspires to preserve the memory of her long departed friends, vowing to protect the future that they had fought for as she does so. However, Tiki laments that all of her friends from long ago have long passed while she remains alive, and at the same time, is well aware that those feelings will happen again when the Shepherds eventually meet the same fate as Marth's army. Despite all this, Tiki still wishes to interact with humans and make friendships with them, saying it's better to go through the loss of having those relationships rather than not having them at all. Because of her Divine Dragon status, she is worshiped as the Voice of Naga; however she dislikes her title and status, as it creates a barrier for normal interaction with those she meets. 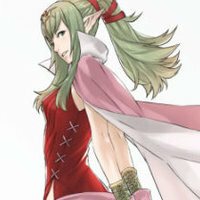 After the war, Tiki ultimately decides to live among the humans in order to befriend them. I'm trapped down here on the earth, when all those I've loved are way up in the sky. So far away, beyond my reach... I wonder if they ever look down at me too. Ah, it's good to catch up with people. So much of the world has changed! 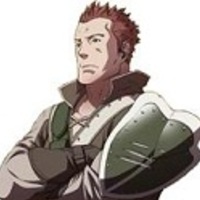 Intially, Gangrel appears to be a bloodthirsty king searching for violence, as he attempted to provoke Ylisse into war with Plegia because he sought to control the continent, even mocking Emmeryn as too naive and kind. 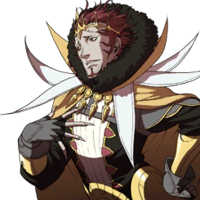 Gangrel reveals he hates the world and even his own subjects due to his harsh past. After his defeat at the Border Wastes, he toned down his thirst for killing, and seeks forgiveness for his actions. In the DLC Hot-Spring Scramble, he attempts to apologize to Emmeryn for the pain he caused. Later on, he rants about how he wanted to shape the future, but how the thrill of war "stained" his hands and how he wanted to escape from it. When Emmeryn calls Gangrel a friend, he is shocked by the compliment. Men are beasts! Nothing more! We fight! We kill! We devour our prey! Someone pinch me! No-let me pinch them! 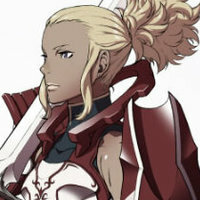 Aversa is a cruel, manipulative, and cold woman highlighted with her seductive traits. She is fiercely loyal to her superiors, though more so to Validar who supposedly took her in from the streets as an orphan. 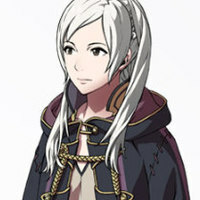 Due to Validar's brainwashing, she is willing to die for him, and continues serving Grima after his death. Hee hee. Looking for attention? One at a time, love. 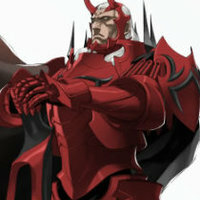 Walhart is an indomitable force, suited for a conqueror, destroying all who stand in his path to glory. He hates losing and turning his back to an enemy more than anything and believes that only through power and calculated ruthlessness can the world be united and usher an era of peace. While he holds down his opposition by force, he has the charisma needed to lead a country and sway others to join his cause. He is perceptive of others, knowing some of Excellus' schemes long before Chrom's army attacks Valm Castle, however he did not realize the full extent of Excellus's manipulation until his final defeat by Chrom. Glory is meeting your enemy's eyes and watching the hope drain away with his life. You know, you've grown very skilled. I could use one with your talents on the battlefield. Yen'fay has an old fashioned and serious personality and enjoys meditation. He has deep loyalty to his country as he was willing to join forces with the Valm empire to stop further bloodshed of innocent lives. However, much of his loyalty was actually due to his love and care for his younger sister, Say'ri. Because of a deal struck with Excellus, Yen'fay begrudgingly obeyed the man who murdered his parents just to keep her safe. Yen'fay stubbornly refused to let Say'ri in on his plan to further ensure her safety. He took this plan to the grave, but was happy to see that his sister was amongst strong and kind people who would protect her and make her happy in his place. he quiet after battle dulls the wits. How do you keep your mind clear? Nay. But today's meditation has cleared my mind of all negative thoughts. 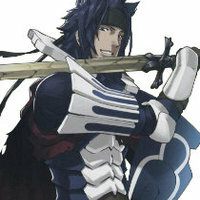 Priam has a great sense of fighting and trains vigorously, albeit excessive way. He has a "training regimen" for everything; making weapons, utilizing chi and even eating. At a young age, he went for his first training regimen and was attacked by a bear. He states that he was able to win due to the energies in the forest that helped him prevail. Interesting. But I've little interest in following someone else's orders. ...Unless they're handed down by a man who can fight for himself. Heh. I'm impressed. Now show me what you're made of! A fork in the road to true strength. 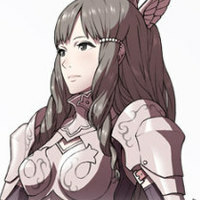 She is a member of Ylisse's Pegasus Knight Squadron and Emmeryn's bodyguard. 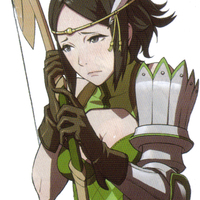 She trained both Sumia and Cordelia. Please reconsider, Your Grace. He cannot be trusted to act in good faith! My apologies, your grace, I spoke out of turn. The Avatar's history is shrouded in mystery, making them the greatest enigma of the Shepherds. Despite this, the Avatar's skill in war tactics is unparalleled, allowing them to guide Chrom's army to victory over opposing forces greater in number and possibly even experience. They are highly ingenious, creating strategies on the fly and even whipping up "crazy" plans or new war tactics out of pure inspiration. Because of their strategic mindset, the Avatar is highly perceptive to the others' feelings, and can figure out the source of most people's inner turmoils in a matter of a few important conversations. Tiki notes that the Avatar is surprisingly similar to Marth, due to their charismatic nature and ability to befriend everyone they meet. 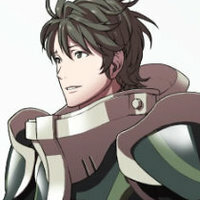 Male Morgan is a bit more mellow (though is still wacky in his own way) and slightly more dorky, and is significantly nicer than his female counterpart, lacking her sadistic streak and being pleasant and helpful with pretty much everybody he talks to, as well as taking seriously several of the future children who are rarely taken seriously, such as Owain. He also has a love of bugs (though as his supports with Noire and a sibling Lucina reveal, this does not extend to roaches, which terrify and gross him out). All right! That will give me a chance to see how you fight. But go easy on me..
"I try to stay up late and study strategy like my mother. ...But I usually conk out.